First phase of work completed on park adjacent to Chester hospital. The new Countess of Chester Country Park, located in Upton by Chester, next to the Countess of Chester Hospital, is now open for the local community to enjoy. The first phase of work on the park is complete, creating a series of pathways wide enough for walkers, cyclists and wheelchair users to share. The new paths connect the park to local footpaths and to the Shropshire Union Canal towpath, providing local residents, as well as hospital staff, patients and visitors, with more opportunities to explore the area and be more active. 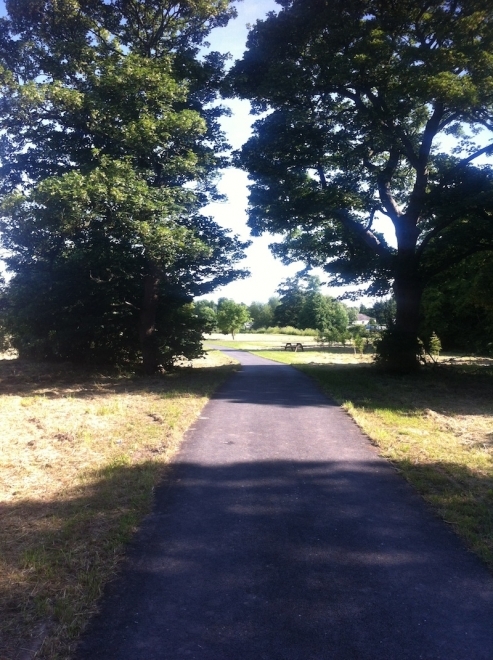 Designed by John Seiler of Cheshire West and Chester Council, the park will be managed and maintained in perpetuity by the Land Trust, a national charity dedicated to looking after open spaces for public benefit. 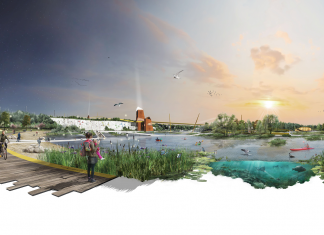 The Land Trust acquired the former landfill site from the Home and Communities Agency in 2012, along with a dowry of £650,000, which has been used to restore the land, it says, ‘and continue improving the space for the public over the next few years’. An additional £49,350 funding was provided by WREN, a not-for-profit business that awards grants to community projects. Euan Hall, CEO of the Land Trust, said that the new network of all-weather paths not only opens up new ways for the residents of Upton and Blacon to stay fit outdoors, ‘but it also provides local people with alternative and more environmentally friendly ways to travel to work’. The Land Trust has worked in partnership with landowners Cheshire West and Chester Council, Countess of Chester Hospital NHS Foundation Trust, Cheshire & Wirral Partnership NHS Foundation Trust, NHS Property Services and Groundwork Cheshire, to transform the disused land into a peaceful space within a busy urban area. Natural England’s Paths for Communities and the Local Sustainable Transport Fund also provided funding contributions to build paths, improving the park’s connections with local destinations, including Chester town centre, the Countess of Chester Hospital, the Chester Millennium Greenway, the canal and other waterways.